I was offered to experience POPSUGAR Must Have Box, which is a subscription box that has a little bit of everything - full sized beauty, fashion, and lifestyle items. For a sheer lipstick lover who prefers cool-toned colors like me, NARS Sheer Lipstick Damage can easily achieve an "essential" status. Dolce Vita seems to appeal to a bigger mass supposedly being a "universally flattering" shade, but unfortunately "Life isn't so sweet" on me. If you find Dolce Vita too warm on you, do take a look at Damage instead. It is the Dolce Vita for cool/neutral complexions. I have been reaching for the Chanel Les 4 Ombres Tissé Rivoli (reviewed) quite often, but that is usually for the deep metallic taupe shade which is my favorite. I thought I should show some love for the other colors, too - especially the warm copper, plus I remembered I had Chanel Rouge Coco Rivoli (reviewed) as well. A quick "Rivoli" face was in order. NARS has managed to bring out yet another unique blush color for this fall. 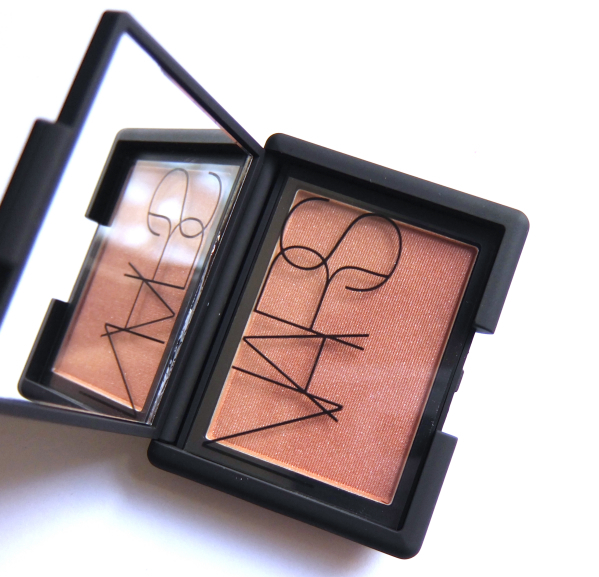 NARS describes Unlawful Blush as an "amber pink with silver pearls". Gotta love their no-frill-get-to-the-point description of the color, because Unlawful is exactly that. From the online swatches which looked quite warm and yellow, I did not expect NARS Blush Unlawful to be as flattering on my neutral complexion. I wanted it anyway since the color seemed so unique and complex. Easy justification this time. 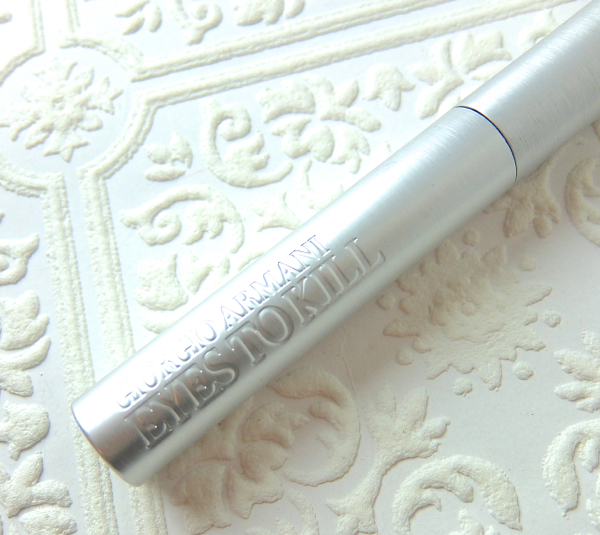 Giorgio Armani Eyes To Kill Waterproof Mascara is an excellent choice if you have naturally beautiful lashes and lots of money. Unfortunately, I am neither, so this high-end mascara purchase for the first time in years totally bites the dust. Dior has brought out gorgeous new quints this season. They are reformulated and repackaged boasting a wide variety of colors and textures to create different effects. 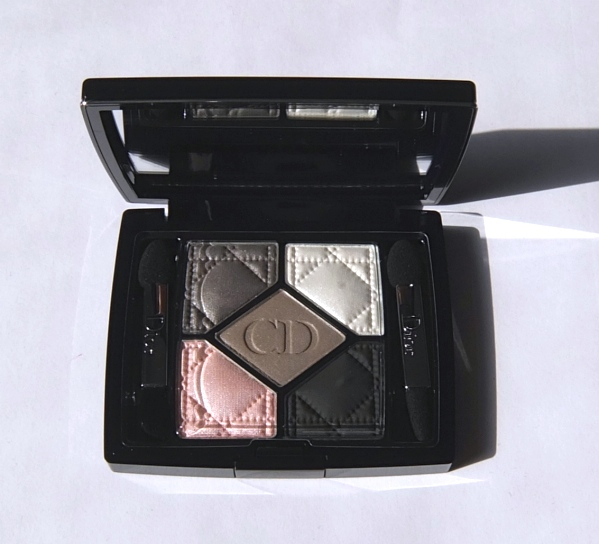 All of the new Dior 5 Couleurs Eyeshadow Palettes are just beautiful to look at, but I picked up 056 Bar which is a smoky palette with cool grey and taupe. Sunscreen is a serious business to me. I went through a brief yet crazy sunscreen phase a while ago. 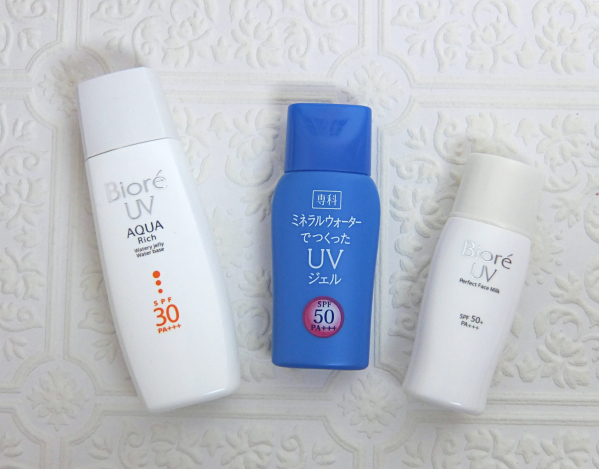 I lived on the skincare board searching for a highly photostable sunscreen that is also cosmetically elegant. It was a painful time, let me tell you. In reality, no such thing exists, so I had to compromise a little bit. There are at least three things we should take a look at when it comes to sun protection - SPF, PA and PPD, which indicates the level of UVB, UVA protections and photostability. Unfortunately, SPF is the only thing indicated on the surface (plus whether it is broad spectrum or not) in the U.S. No wonder even the educated beauty bloggers still measure their sunscreen by SPF numbers only. I see I am already boring you, so let me just show you these three different sunscreens that I am currently using. They are all affordable and provide broad spectrum protection with decent photostability that are also cosmetically elegant and non-greasy. 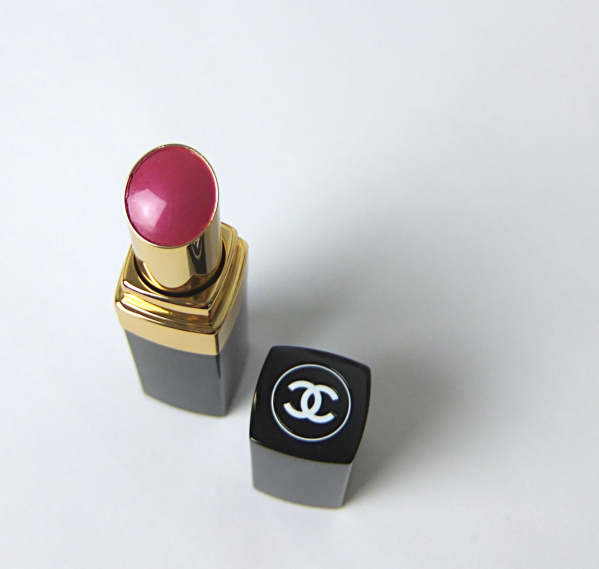 I picked up Rouge Coco Shine Viva from the new Chanel État Poétique Collection (Fall 2014). This sophisticated yet rich-in-hue collection is rather well done in my view, and Viva is a standout of the bunch. Some of you might know I am a big fan of sheer lipsticks in general, but Chanel Rouge Coco Shine is just an okay one for me formula wise. I prefer Dior Addict if I'm to spend over $30 on a lipstick, for instance. 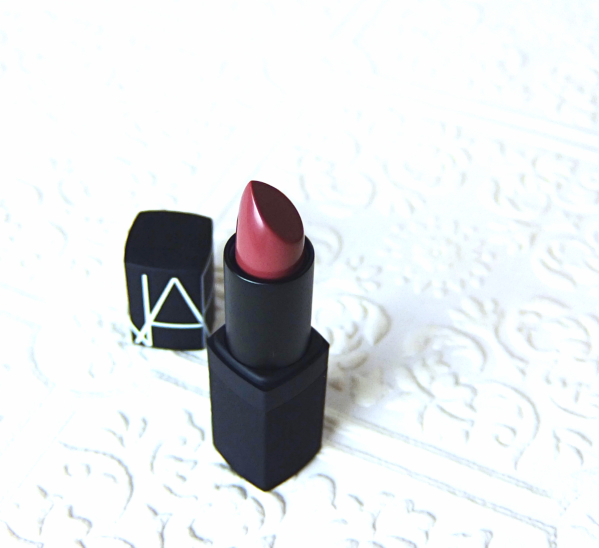 However, Chanel never fails to bring out such great colors in every collection. Viva is just another example.